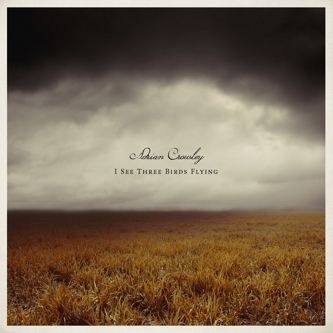 More sad songs from the maestro Adrian Crowley, who has gifted his latest 'I See Three Birds Flying' to Glasgow mainstay Chemikal Underground. Crowley has an incredible ability to conjure up images of dusky Gallic cinema as well as classic British spy movies, without ever resorting to the usual faux-cinematic tropes. Rather the subtle instrumental choices (Mellotron, dulcimer etc) simply weave a carefully constructed story behind his doomy vocals. Fans of Low, Smog and even Arab Strap should find plenty to dip into here.